Mobile technology geared towards internal business operations, more commonly referred to as enterprise mobility, is the driving force behind the organizational structure for an increasing number of businesses in today’s professional environment. 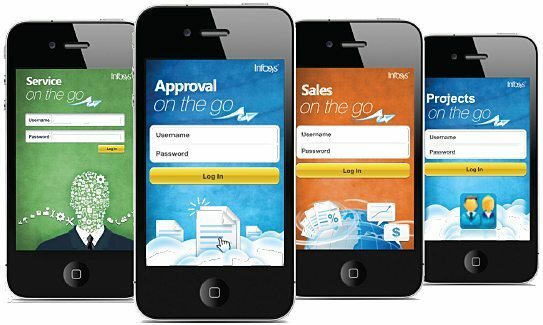 Enterprise mobility oftentimes refers to the mobile applications employed by businesses to allow a number of operations to take place on the go. These aren’t the apps you see in the top categories for Apple’s iTunes App Store, or Android’s Google Play, but they’re making a major impact on how companies are doing business in the current landscape. This is generally the basic foundation of most companies’ enterprise mobility resources. It gives employees access to basic company tools such as calendars, email, and internal instant messaging from their mobile devices to keep them connected while they’re away from their desktops. In the past, even these more general items required employees to be within the office. The integration of mobile connectivity has allowed employers and employees to stay informed in situations, via-smartphone or tablet, where they were previously locked to a single location. Mobile productivity is a bit more involved than simple connectivity. Through mobile productivity, employees can take care of such tasks as creating and editing work documents, sharing those documents with other team members, or having business-related news sent directly to their mobile devices, among other items. Where mobile connectivity allows employees to, as the name suggests, stay connected, mobile productivity grants users the ability to be productive while on the go, actually adding value to the workplace while not at the desktop. Field Force Automation allows users to record sales and service information while in the field. Not only does this eliminate the need for double data entry, and any associated manual recording errors, but it reduces any time delays and increases overall productivity. Field force automation is noted as being the backbone of enterprise mobility, as in where the majority of its utility comes from. Desktop replacement is just as its name implies; the replacement of a desktop by a mobile device. This allows staff to leave their desktop completely in favor of the mobility of a tablet device, whereon they can take care of tasks that would otherwise necessitate a desktop. Those who take advantage of desktop replacement are often the most mobile workers, or executives. These individuals’ job tasks are often satisfied by, and don’t require, a full desktop. This past September, Frost & Sullivan surveyed 300 mobile and wireless purchase decision-makers in the North American business sector regarding the current state of enterprise mobility in the workplace. When asked about the areas where businesses have seen the greatest ROI effects for enterprise mobility practices, the survey saw the greatest impacts taking place in some of the most common day-to-day activities. The implementation of mobile connectivity, specifically regarding wireless email capabilities, saw the greatest impact, including a 67% increase in worker productivity, 43% more employee collaboration and 41% reduced paperwork. The adoption of enterprise mobility also led to the development of mobile asset management systems, mobile workforce management, and field force automation. The utilization of mobile asset management specifically, yielded a 40% increase in employee efficiency and a 38% reduction in labor expenses while the addition of field force automation has led to a 38% increase in customer satisfaction and a 33% faster overall sales process. The figures are significant and have reflected a tangible, worthwhile result for the exploration into enterprise mobility. Currently, the number one and number two major barriers that have kept businesses from moving towards enterprise mobility have been cost and “unclear ROI benefits”, respectively. As mobile capabilities reach further into the world of enterprise, it is hopeful that the immense benefits will become clear, and that these defined advantages will justify the cost required to develop a strong mobile system. New statistics from Gartner reveal that the number of tablets purchased by companies will triple from its current 13 million unit mark at the end of 2012, to 53 million units by 2016, signaling further increased attention the mobile market has been given by a growing number of businesses. Ultimately, technology has a knack for finding its way into almost every area of our lives. In some areas this process happens faster than others, and in the case of enterprise mobility there is still a grey area as to when this development will reach a critical point. Nonetheless, factoring in the benefits of increased efficiency and decreased costs, you can be certain that it is a matter of ‘when’ and not ‘if’ the majority of businesses in the United States will begin utilizing enterprise mobility.